No Khans, a ticket worth Rs 40,000 make IIFA ??? Bachchan Khandaan is all out again this year promoting IIFA (Ninth International Indian Film Academy) Awards in Bangkok. IIFA looks like a turn OFF this year with no big KHAN attending the show – Shahrukh, Salman or Aamir! S-E-X & the City movie Premiere saw number of bollywood babes out to catch this flick. Dressed in casual, they looked different and for sure hot. Here is Arora sisters – Malaika and Amrita. Shekhar Suman is still trying very hard to remain young with his 6 pack abs and romancing with bikini babes in his music album videos. While he has established himself asÂ comic caper, here comes his son ‘Adhyayan Suman’ for some mussy roles on big screen. Shirts are off and top three bollywood men with fight it ON for TV space. Salman Khan and Hrithik Roshan joins Shahrukh Khan this weekend on TV. With IPL over, big ticket TV shows make debut this week across different channels including NDTV Imagine, Sony and Star Plus. Kareena Splurge to get her curves Back, 0 or ? 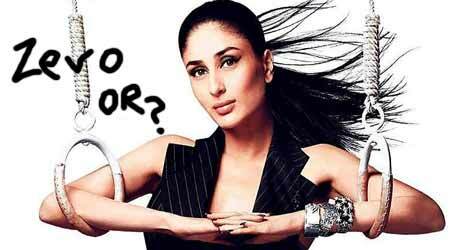 Kareena Kapoor made all headlines for her SIZE ZERO and HERO Saif Alil Khan. Not sure what is happening between Saif and KareenaÂ with rumours of their Split red hot. BUT, Kareena for sure is going to lose Size ZERO tag. Sameer Dattani, you must have seen this dude on TV these days. Promos of his movie “Dhoom Dadakka” areÂ on air and buzzing quiet a bit. 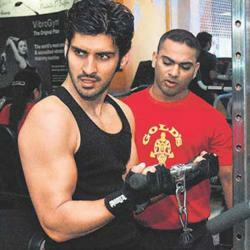 With movie not doing any wonders, Sammir Dattani is TRYING to get busy with GYMING. Ahhh… get ready to see more of Celina Jaitley andÂ her sizzling stuff on-screen -Â for what she is known for (she is still learning acting though!). Celina is all set to debut as item babe. If you are still not TIRED of seeing the Bachchan trio in movie ‘Sarkar Raj’ promos… well they are going live. Yup, Bachchan & Co live concert “The Unforgettable Tour” kick start on July 18 in Toronto. Sanjay Gadhvi directed Dhoom I and Dhoom II and created DHOOM at the box office. Yash Raj films is already under shock of slewÂ big ticket movies including Tashan flopping big time. 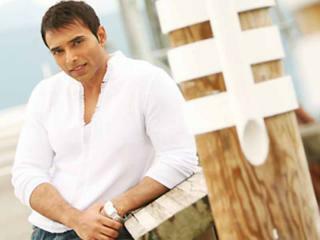 Here comes another shock… buzz is Uday chopra is set to direct Dhoom3.